The 20th Anniversary World Tour of Riverdance enthralled Music City with a three-day engagement at the Tennessee Performing Arts Center (TPAC) in Nashville April 21-23, 2017. 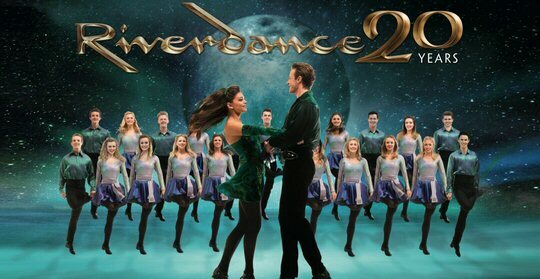 Riverdance initially started as an interval act in the 1994 Eurovision Song Contest produced for TV by Moya Doherty. From a seven minute dance routine Riverdance evolved into a full-length production that had global appeal with its innovative blend of Irish and International dance and music. Riverdance – The 20th Anniversary World Tour is composed by Bill Whelan, produced by Moya Doherty and directed by John McColgan. Riverdance – The 20th Anniversary World Tour will feature new costumes, new lighting, new projections and the addition of a brand new number, “Anna Livia,” featuring the female members of the Irish dance troupe in an a cappella hard-shoe number. Irish music was piped in as we took our seats at the TPAC on Friday night. Soon after eight the lights dimmed for the opening number “Reel Around The Sun” where the performers worshipped the fiery ball in the sky with striking moves and taps in honor of their ancestors who understood the elements along with their power and place in the world. The first act continued to build on this concept as the Riverdance singers reminded us that we must share this knowledge. World class artists many from Ireland presented a broad range of complex moves and music. Much of the narrative of humanity and nature pointed to Ireland but other countries were also well represented in this diverse and dynamic show. Colorful costumes, lighting and sets added even more flair to this popular production. Power was a prevailing theme in Riverdance. During one number the women celebrated themselves as they challenged the men in a dance of empowerment. In another scene thunder and lightning flashed in a display of force as men in black acknowledged the brute energy of nature that is beyond human control and understanding. “Firedance” performed by the flamenco soloist paid a sizzling tribute to the sun whereas “Shivna” honored the moon with a dramatic dance number. Act 1 concluded with “Riverdance” a jubilant salutation to the river. Act 2 was dark as famine, slavery and war shattered the ancient bonds between people and place. Forced dislocations changed the destinies of peoples such as the Irish as demonstrated through movement and music. Emigrants exposed to different cultures attempted to form a sense of identity in their new homelands. In the slightly jazzy “Trading Taps” men from different backgrounds showed pride in their heritage while exploring other traditions in an effort to connect with each other. Textures and tones from Russia and Latin America were also part of the cultural journey. “Finale” melded all the musical pieces together as The Company were unified. Riverdance runs much deeper than just colorful costumes/sets paired with compelling choreography. It’s the eternal story of humanity, the tale of people’s relationships with the earth and each other as told through global dance and music. After 20 years Riverdance is still a passionate and powerful production. The 20th Anniversary World Tour of Riverdance will be on the road for much of 2017 so see for yourself this sensuous and spectacular show. The TPAC continues to host a wide selection of shows such as Riverdance.The performance venues at TPAC are Andrew Jackson Hall (2,472 seats), James K. Polk Theater (1,075), Andrew Johnson Theater (256) and War Memorial Auditorium (1,661), the historic landmark located across 6th Avenue from the Center. Among its many operations, TPAC presents a series of Broadway shows, concerts and administers a comprehensive education program. 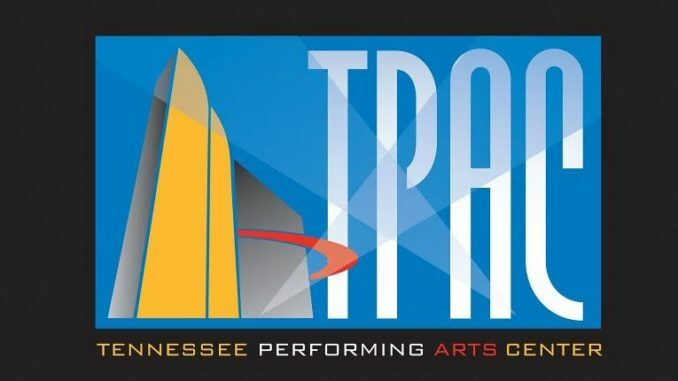 TPAC is also home to three resident performing arts organizations: Nashville Ballet, Nashville Opera and Nashville Repertory Theatre. Presenting their work on the stages of TPAC, all of these organizations are independent of the center. Please check their website for a full list of events.